For those who want wide-ranging comfort: The SKILLER SGS4 is designed with an increased seating size and wider backrest. Plus, it is made to support a maximum weight of 150 kg and a maximum user height of 200 cm. High quality manufacturing combined with comfort are its highlight: The SKILLER SGS4 features special supporting foam padding on the seat cushion and backrest, and the covering is an easy-to-clean synthetic leather. Apart from its stately design, its balanced looks are provided by its classic black base and choice of colors for the seams and stitching. For those who want wide-ranging comfort: The SKILLER SGS4 is designed with an increased seating size and wider backrest. Plus, it is made to support a maximum weight of 150 kg and a maximum user height of 200 cm. 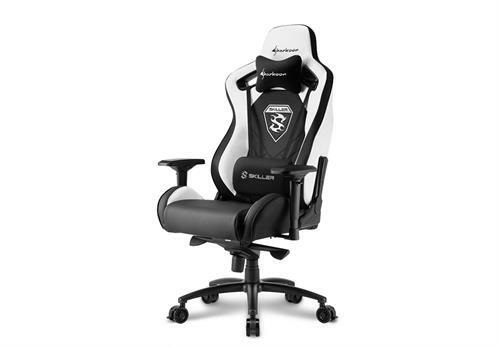 High quality manufacturing combined with comfort are its highlight: The SKILLER SGS4 features special supporting foam padding on the seat cushion and backrest, and the covering is an easy-to-clean synthetic leather. Apart from its stately design, its balanced looks are provided by its classic black base and choice of colors for the seams and stitching. 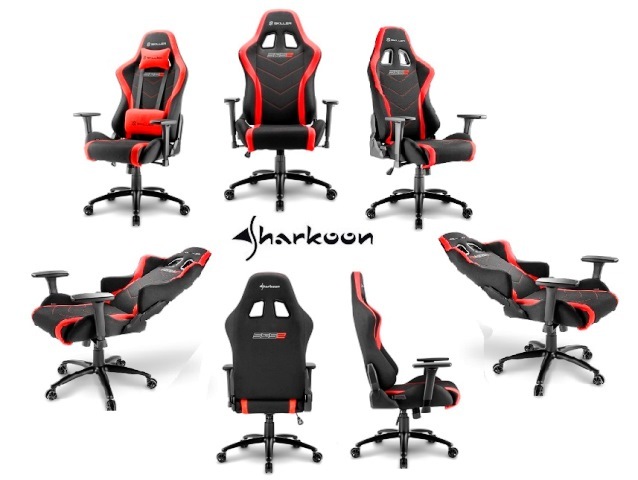 The headrest and lumbar cushions are accentuated with the colors blue, red, green or white.he headrest and lumbar cushions are accentuated with the colors blue, red, green or white. 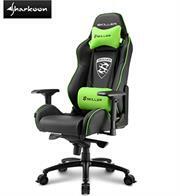 Sharkoon Skiller SGS4 Gaming Seat Black/Green, Retail Box , 1 Year warranty. 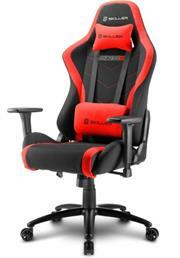 Sharkoon Skiller SGS4 Gaming Seat Black/Red, Retail Box , 1 Year warranty. 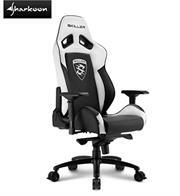 Sharkoon Skiller SGS4 Gaming Seat Black/White, Retail Box , 1 Year warranty. 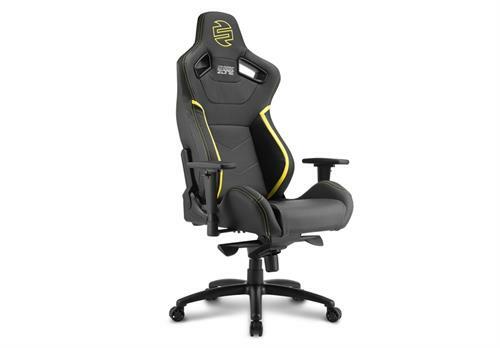 Sharkoon Shark Zone GS10 Gaming Seat Black/Yellow, Retail Box , 1 Year warranty. 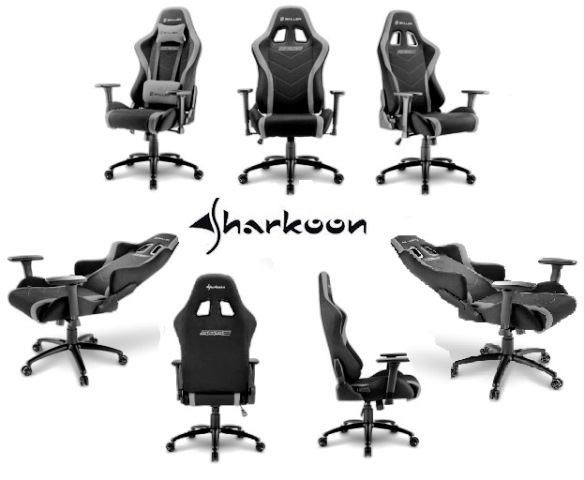 Designed with the needs of gamers and streamers in mind, the GS10 Gaming Seat from Sharkoon comfortably keeps you in the SHARK ZONE even after hours of use. This is not only due to its supportive foam padding on the seat and backrest, but also its versatile and adaptable ergonomic possibilities. 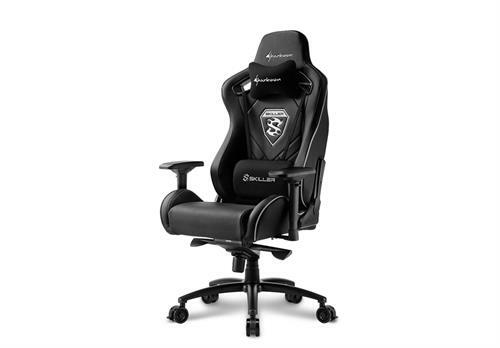 The nonslip cover is made of synthetic leather in classic black, so you can sit both comfortably and in style. The high quality stitching and other textile design features are highlighted in yellow for the typical SHARK ZONE series. 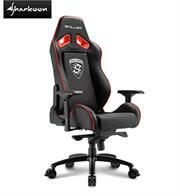 The subtle plastic cutouts and carefully embroidered logos visually round off the gaming seat. 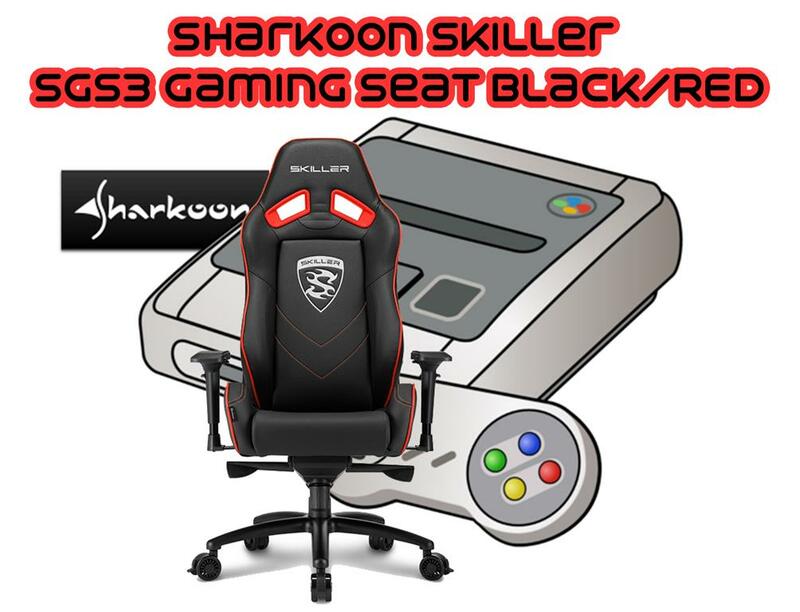 Sharkoon Skiller SGS3 Gaming Seat Black/Red, PVC Seat Cover Material, High Density Mould Shaping Foam, Retail Box , Textile Cover Material, 1 Year warranty. 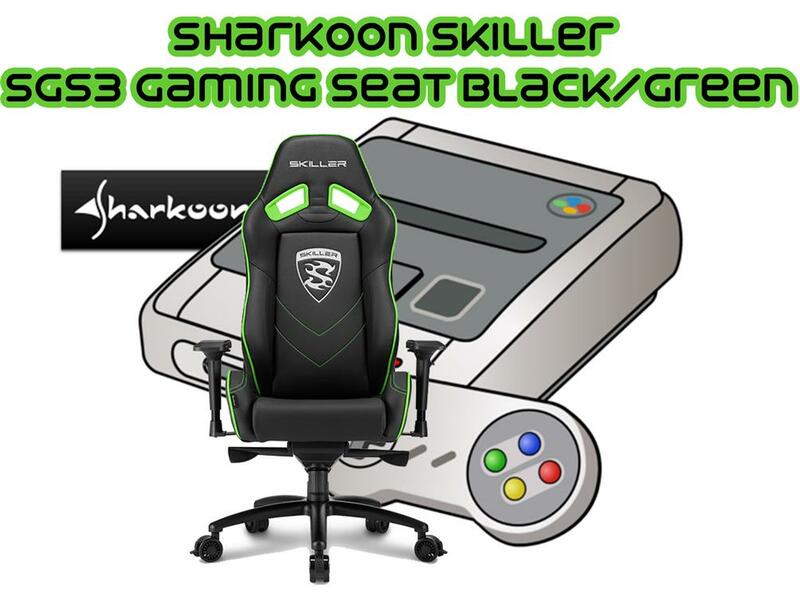 Sharkoon Skiller SGS3 Gaming Seat Black/Green, PVC Seat Cover Material, High Density Mould Shaping Foam, Retail Box , Textile Cover Material, 1 Year warranty. 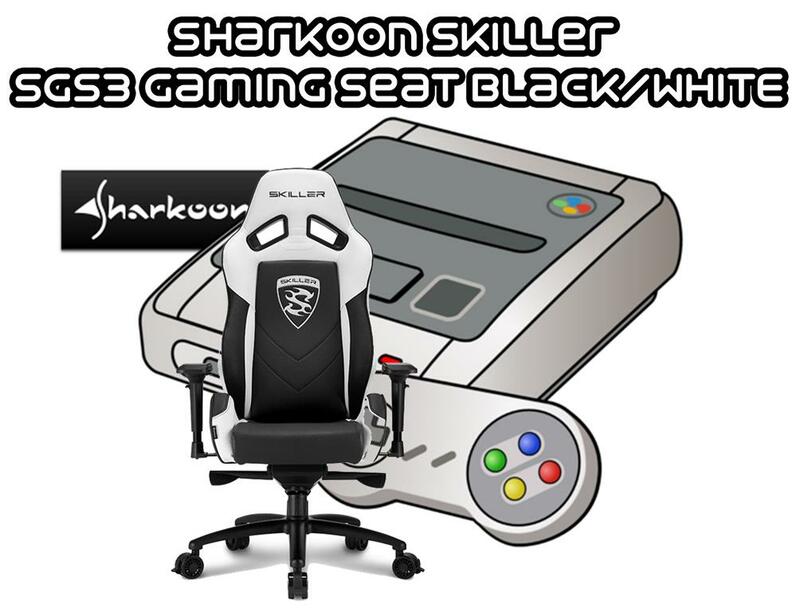 Sharkoon Skiller SGS3 Gaming Seat Black/White, PVC Seat Cover Material, High Density Mould Shaping Foam, Textile Cover Material, Aluminium Five-Star Base, Retail Box ,1 Year warranty. 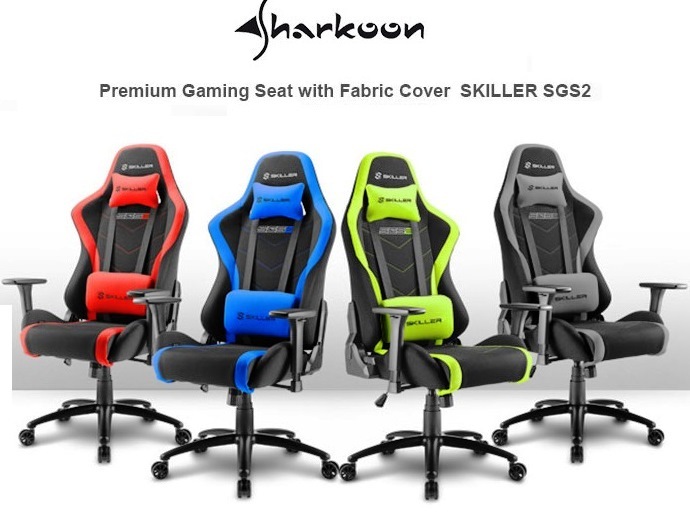 Classic black design, framed with colored accents, the SKILLER SGS2 Gaming Seat from Sharkoon optically declares itself just as sporty as its big brother. The difference, however, is the SGS2 does not use synthetic leather for its covers but rather supple, breathable fabric. These encase the supportive foam padding on the backrest and seat while also having carefully embroidered logos and discreet accent stitching in the colors black, red, green or blue. In addition to the sporty look, the SGS2 also scores with its high quality construction and various, ergonomic adjustment possibilities. To support an ergonomic sitting posture, the SKILLER SGS2 Gaming Seat has practical 3-way armrests. These can adjust to various arm lengths, desired arm heights and to an individual horizontal angle. A stable class-4 gas lift piston ensures an optimal seat height and stability. 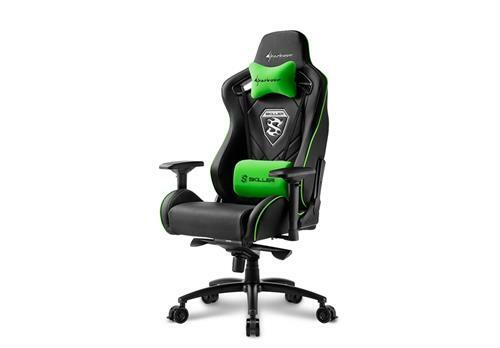 Thanks to its comfortable tilt control system, even hectic gaming situations can be relaxing thanks to its rocking chair atmosphere with tilt angles from 3° to 18°. 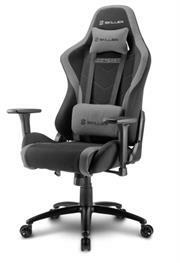 To support both the neck and spine, the SGS2 also provides breathable fabric head and lumbar cushions. These match the accents in color and are attached or removed with ease. During quick breaks, the backrest of the SGS2 can be locked at a wide angle between 90° and 160°. 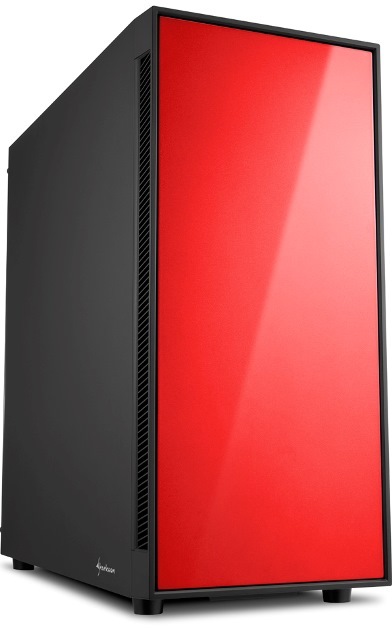 The SGS2 has a robust steel frame construction, keeping it stable and secure at all times. For additional stability, the massive five-star base, which is also made from durable steel, can safely support up to 110 kg. The five large 60 mm wheels support the stable stand and ensure mobility on level surfaces. Construction is quick and stress-free when using the included manual and enclosed tools. 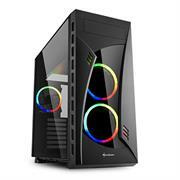 Sharkoon TG5 Window ATX Tower PC Gaming Case RGB Colours with Side Window - USB 3.0, Mounting possibilities: 1x 3.5" hard drive bays, 2x 3.5" or 2.5" hard drive bay, 2x 2.5" hard drive bays, Front I/O: 2x USB 3.0 (internal 19-pin mainboard connector incl. USB 2.0 plug), 2x USB 2.0, Front Audio - NO PSU, Retail Box , 1 Year warranty. Case illumination in yellow? Or how about in purple? Simply decide spontaneously at any time! Not just between two colors, but between 16.8 million at your every whim and mood. Thanks to the TG5 RGB ATX Case, this is no problem at all. 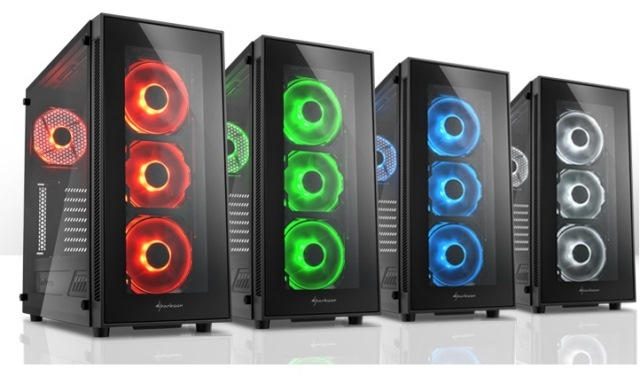 This is possible via the four built-in RGB LED fans as well as the provided 6-port RGB hub. 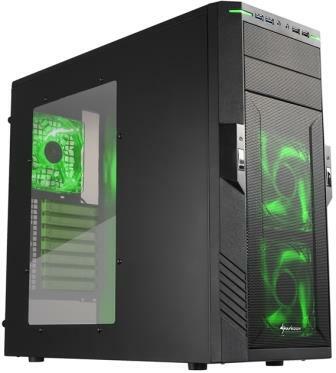 Once mounted inside the case, together with compatible mainboards with a 12V-G-R-B connector, six LED elements are easily controlled, synchronized and illuminated via the mainboard software. The 6-port RGB hub is compatible with Asus Aura, Gigabyte Fusion and MSI Mystic Light. For mainboards without a 12V-G-R-B connector, the TG5 RGB comes with a manual color control. 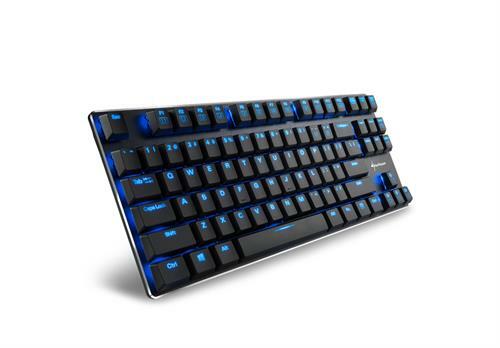 This allows up to six connected LED elements, for example the four pre-installed RGB LED fans and provided LED strip, to be illuminated in one of six colors, or completely in white, manually through a switch on the manual color control. 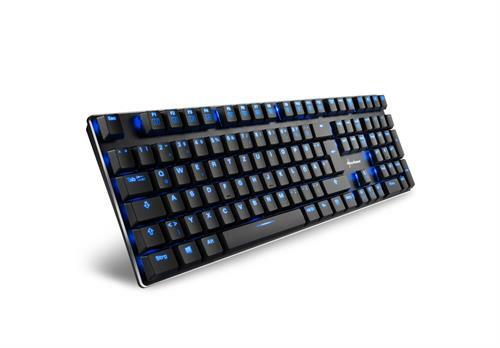 In addition, the almost completely glassed TG5 RGB makes no compromises on comfort or features, and offers nearly 16.8 million installation possibilities for passionate gamers! 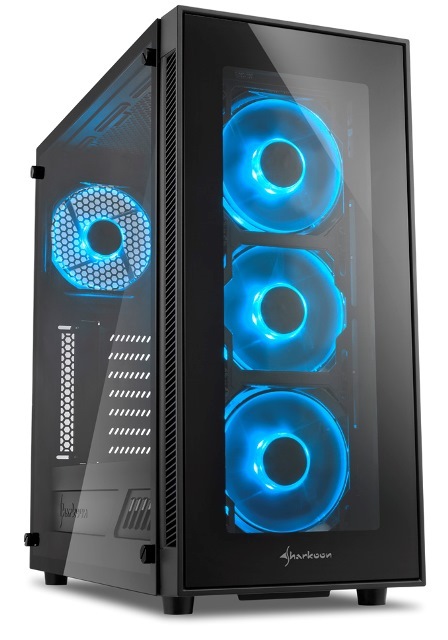 In order to meet the demands of professional gamers, sufficient space inside the case was provided for the installation of a wide range of components: The power supply and up to three 3.5" hard drives can be installed decoupled within the tunnel on the case bottom. 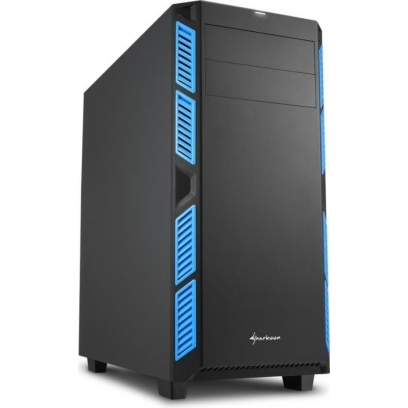 The AI7000 also comes with two mounts for 2.5" drive bay trays behind the mainboard. Up to two 2.5" HDD/SSDs can be mounted there using convenient thumb screws. Thanks to numerous openings, the mainboard can be wired as discreetly as the rest of the components. 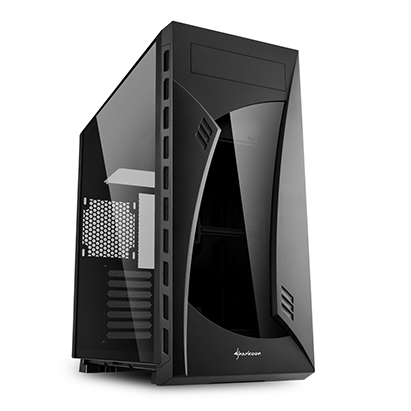 Typical for Sharkoon cases, the AI7000 also offers the possibility to install a water cooling system. There is enough room for a 280 mm radiator, with a total height of up to 5.7 cm including a fan, in the front of the case. CPU coolers up to 17.5 cm in height can be easily installed thanks to a practical cutout in the mainboard tray. 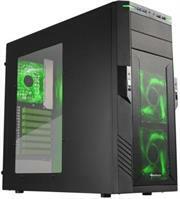 The maximum length of graphics cards is 38 cm; power supplies in length up to 23 cm. 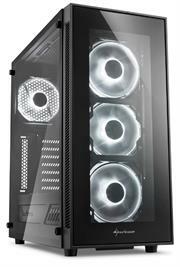 A pre-installed dust filter behind the front panel, plus another dust filter in the case bottom, protect the hardware from dirt. They can be easily removed and re-installed for cleaning. In addition, an additional dust filter is pre-installed on the top cover, which, thanks to magnets, can be easily removed and cleaned. The most important peripherals can be connected via two USB 3.0 and two additional USB 2.0 ports above the front panel, which can be accessed at any time. The USB 3.0 ports are connected to the mainboard via a 19-pin mainboard connector. Above the front panel are also two audio ports for a headphone or headset with microphone. 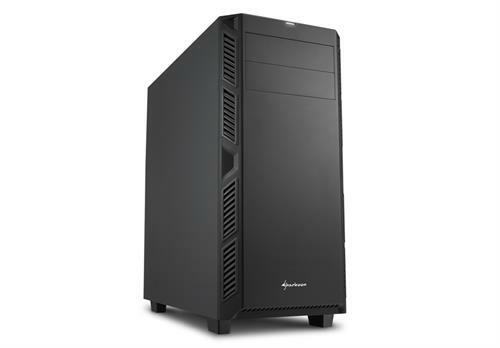 As with all newer Sharkoon cases, the front panel is cableless and designed for easy installation of 5.25" or 3.5" drives. Behind the front panel, two pre-installed 140 mm fans provide a cool breeze inside the case. The 140 mm LED fan on the rear panel, matching the color version of the case, draws out the warm air. Strengthen air flow, if needed, by mounting two optional 120 mm or 140 mm fans on the top panel. 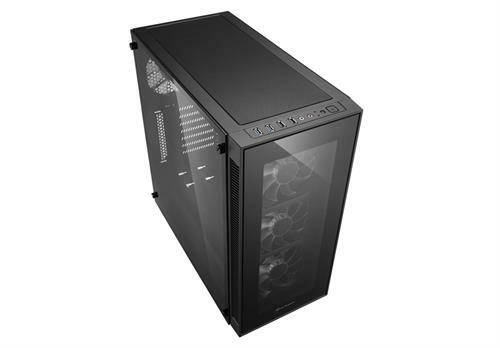 Thanks to an optimized cable management system with lots of cable pass-throughs the complete cabling can be hidden between the mainboard and the non-windowed side panel. 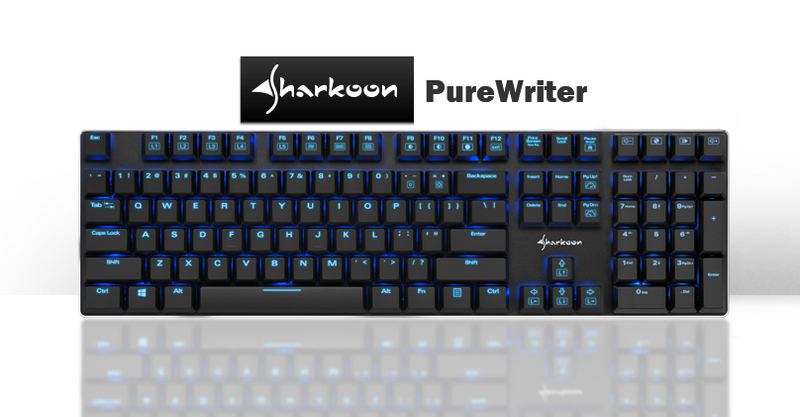 The built-in hardware stays in focus and the airflow remains unaffected. The power supply as well as up to three 3.5" hard drives disappear in the tunnel on the bottom of the case. Air vents on top and on the side of the tunnel ensure the cooling of the hard drives. 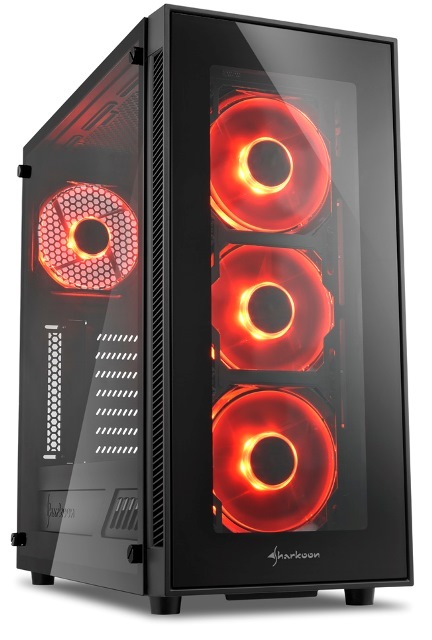 If necessary, a new CPU cooler with a max. height of 16.7 cm can be installed easily through the opening in the mainboard tray. 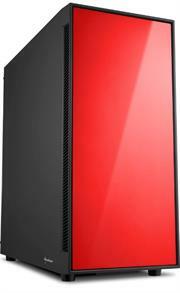 Maximum length for graphics cards is 40 cm. Maximum length for power supplies 20.5 cm. The front panel is designed cableless and is therefore conveniently removable. 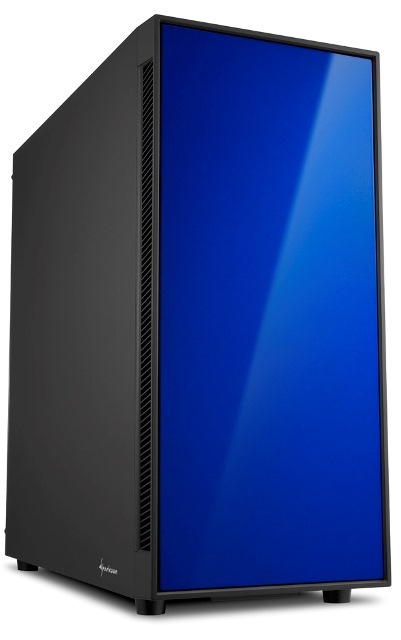 Two pre-installed dust filters protect the PC from contamination. For cleaning, they can be easily removed and put back on. Another dust filter is also pre-installed on the top panel, which can be easily cleaned and removed thanks to the magnetic fastener. 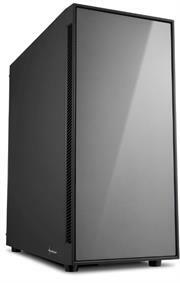 Naturally an additional dust filter also protects the bottom of the case from contamination. With the design of the front panel we consciously refrain from the established drive bays for optical disc drives and emphasize the look inside the case and the LED fans with the tempered glass front. The TG5 has nonetheless sufficient possibilities to discreetly mount hard drives. Up to two 3.5" hard drives or 2.5" HDDs/SSDs can be mounted in a HDD cage screwed tightly to the top of the tunnel. Another 3.5" hard drive finds space on the bottom of the tunnel below. Instead of this 3.5" hard drive the whole HDD cage can be mounted to the bottom of the tunnel with convenient thumbscrews and can be positioned, thanks to practical oval hole cutouts, up to the fans on the front panel. This way more space can be created easily for the cabling of the power supply. Behind the mainboard, the TG5 provides two vertical supports, with convenient thumbscrews, for up to two additional 2.5" HDD/SSDs. 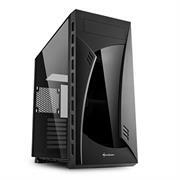 Sharkoon AI7000 ATX Tower PC Gaming Case Black - USB 3.0, Mounting possibilities: 1x 5.25" Optical Drive bay, 1x 3.5" hard drive bays, 2x 3.5" or 2.5" hard drive bay, 2x 2.5" hard drive bays, 2x 3.5" or 2.5" hard drive bays, 1x 5.25" to 3.5" bay cover, Front I/O: 2x USB 3.0 (internal 19-pin mainboard connector incl. USB 2.0 plug), 2x USB 2.0, Front Audio - NO PSU, Retail Box , 1 Year warranty. Sharkoon AI7000 ATX Tower PC Gaming Case Red - USB 3.0, Mounting possibilities: 1x 5.25" Optical Drive bay, 1x 3.5" hard drive bays, 2x 3.5" or 2.5" hard drive bay, 2x 2.5" hard drive bays, 2x 3.5" or 2.5" hard drive bays, 1x 5.25" to 3.5" bay cover, Front I/O: 2x USB 3.0 (internal 19-pin mainboard connector incl. USB 2.0 plug), 2x USB 2.0, Front Audio - NO PSU, Retail Box , 1 Year warranty. The AM5 Series comprises the Silent and Windowed variants. The AM5 Silent contains pre-installed sound-damping mats. However, the AM5 Windowed eschews the damping in favour of an acrylic side window. Despite the differences, though, the two AM5 cases sport similar designs; the pair feature with block-colour fronts in either blue, red, or titanium. 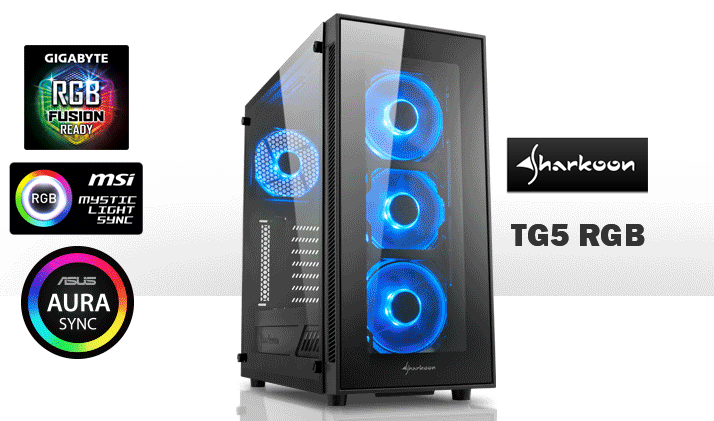 The Sharkoon T28 Gaming ATX Midi Tower Case is designed to show off the components inside it, thanks to a large acrylic side panel. 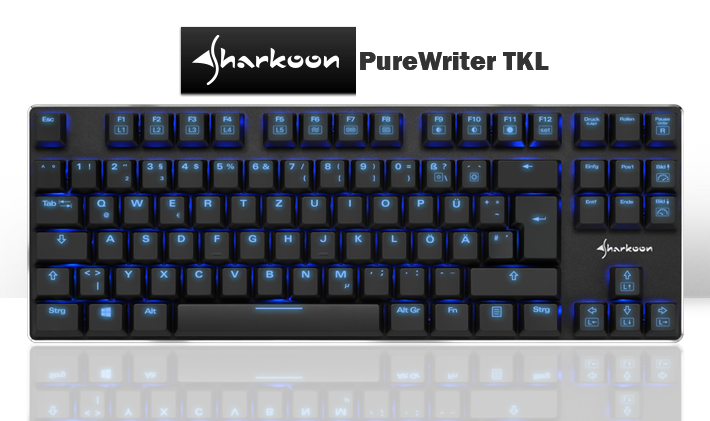 The build quality is good throughout, everything fits nicely first time, with no noticeable squeaks and rattles either while installing components or when powering up the system. The Sharkoon T28 Gaming ATX Midi Tower provides a competent solutions for cable management as well as space enough to fit a large water cooler for the CPU ,With extra features such as the quick release hard drive bays for SSD as well as removable hard drive cages for your mechanical hard drives. 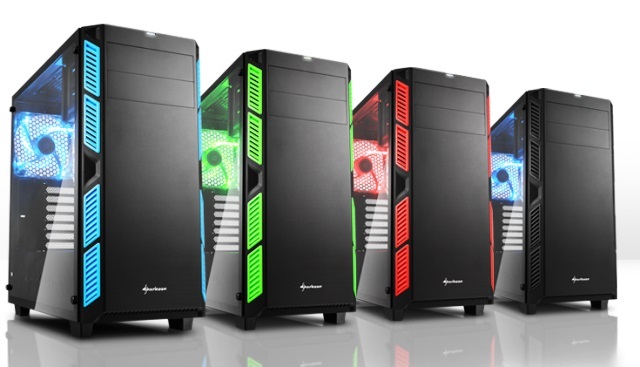 The overall design and style is the little extra that has gone into ensuring that your system stands out to make a statement at those Lan parties.